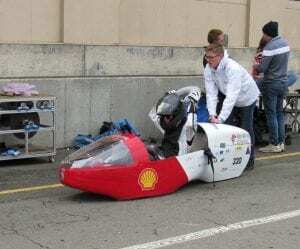 For the second year running, a team of Mechanical and Electrical Engineering Technology students from Red River College have taken their battery-electric vehicle — dubeed SpaRRCky — to Sonoma, California for the Shell Eco-marathon. 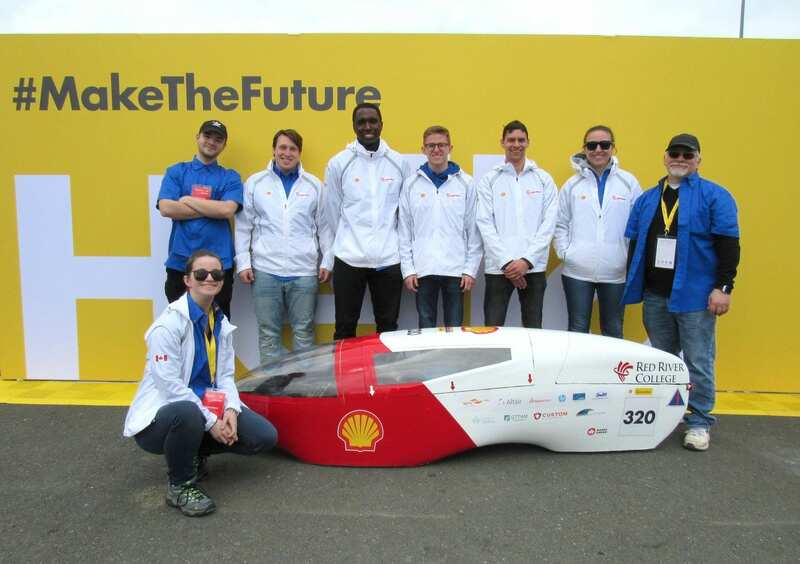 The team beat their personal best, moving from a 14th-place finish last year to seventh overall in the battery electric category. And while this year’s race was ultimately a success, it wasn’t without its challenges. Nerves aside, the team also had to deal with various technical challenges. During the first run, SpaRRCky’s cover came loose and the team’s driver (Samantha Sousa, a Welding student who also constructed the racer’s steering knuckle) had to pull over for her own safety and the safety of the others on the track. “Once we got the car back, we quickly brainstormed and fixed the problem on the fly, got SpaRRCky back in line, and were able to make the next run,” says Turner. Sousa noted that the first run track was the most nerve-wracking part of the competition, thanks in part to the weather. “The rain was pushing our time slot back and the pavement was slick. I also had not driven SpaRRCky on pavement yet, only in the gym as we still had snow in Winnipeg,” she says. But the stress didn’t stop there. “After our third run, a housing bolt had become stripped and we could not attempt another run with the vehicle in this condition,” says Turner. 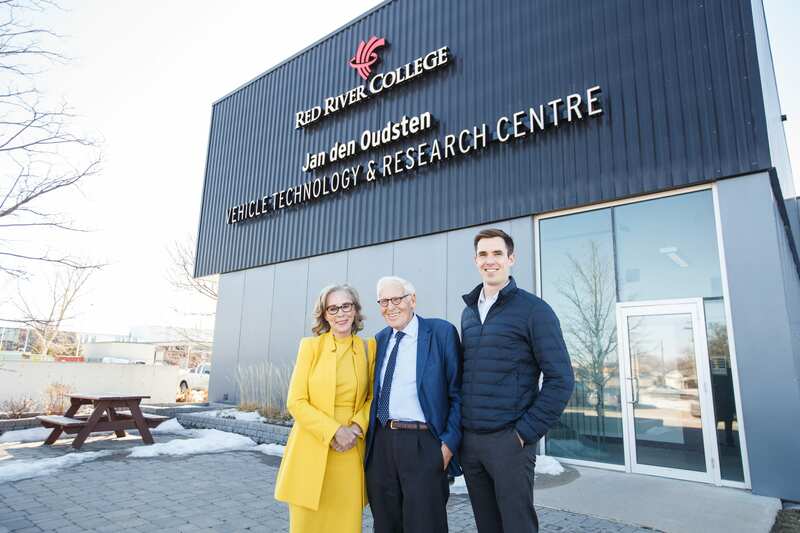 Red River College has entered into a new partnership that will help Canada’s veterans and current members of the Canadian Armed Forces trade the experience they gained serving our country for a diploma. As part of the announcement, RRC signed a memorandum of understanding with the federal government’s National Advanced Placement & Prior Learning (N-APPL) program, which supports the recognition of military experience in post-secondary settings. Thanks to the agreement, veterans and reservists now have the opportunity to turn their training and experience into academic credits. 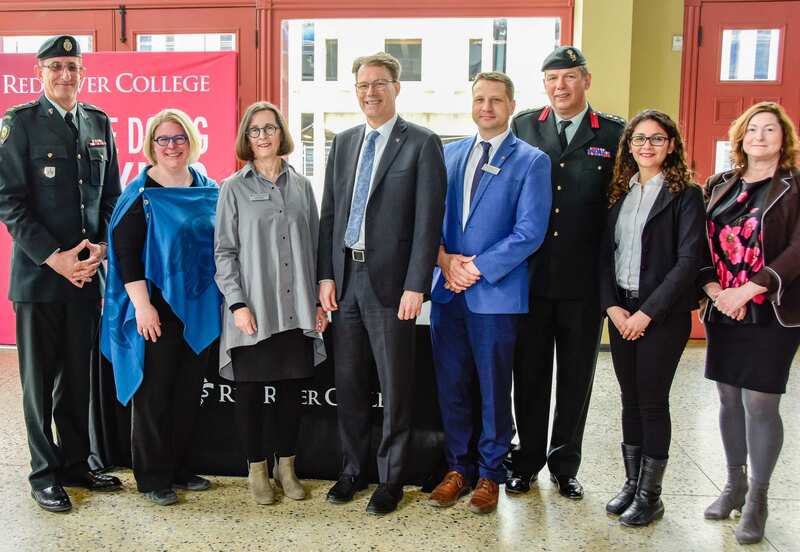 The agreement makes RRC the first post-secondary institution in the province to formally acknowledge that skills, training and experience acquired through military service can be applied towards a college diploma. 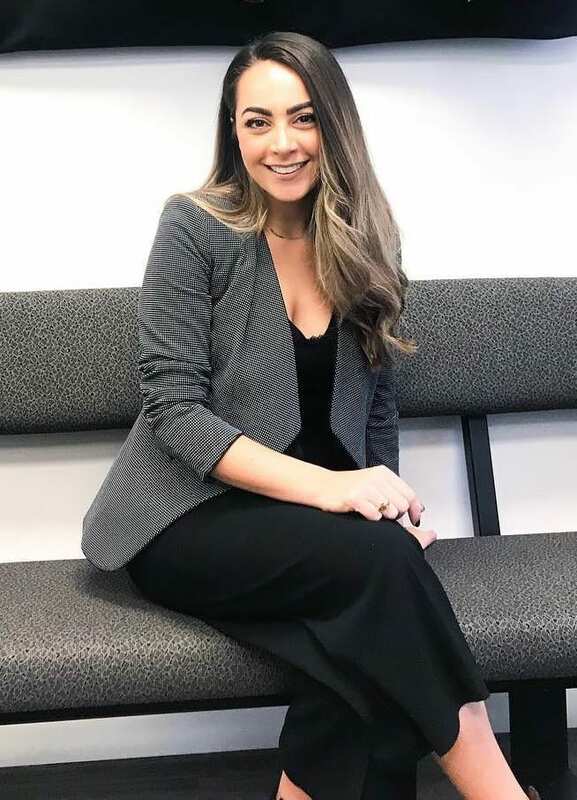 Giovanna Minenna, a former Business Administration student at Red River College, certainly knows a thing or two about raising eyebrows in Manitoba. And the local entrepreneur — owner of boutique chain Brows by G — caught the eye of millions more people this week, when she and her husband and business partner, Scott Russell, entered TV’s notorious Dragons’ Den to make a pitch to some of Canada’s toughest and best-known investors. The duo flew to Toronto late last year, but only recently announced to local media that they’d faced the infamous Dragons, leaving friends and clients anxiously awaiting the air date of last night’s episode. During Minenna’s on-air pitch, the brow queen shared stories of her success here in Winnipeg, and asked for $400,000 for 16 per cent of her company in order to continue expanding across the country. Her solid business plan and pitch prompted three of six Dragons to shoot fiery deals her way. Jim Treliving, chairman and owner of Boston Pizza International, offered $400,000 for 20 per cent of the company, with an eye on helping the duo franchise. Manjit Minhaus, co-founder of Minhas Breweries, Distillery and Wineries, offered the same amount to help grow their cosmetic product line across the globe. Finally, renowned venture capitalist Arlene Dickinson matched her fellow Dragons’ offers, but with an added promise to build more corporate stores. In the end, Dickinson tweezed out a successful deal. But long before she was making pitches on TV, Minenna was shaping her career path right here at Red River College. 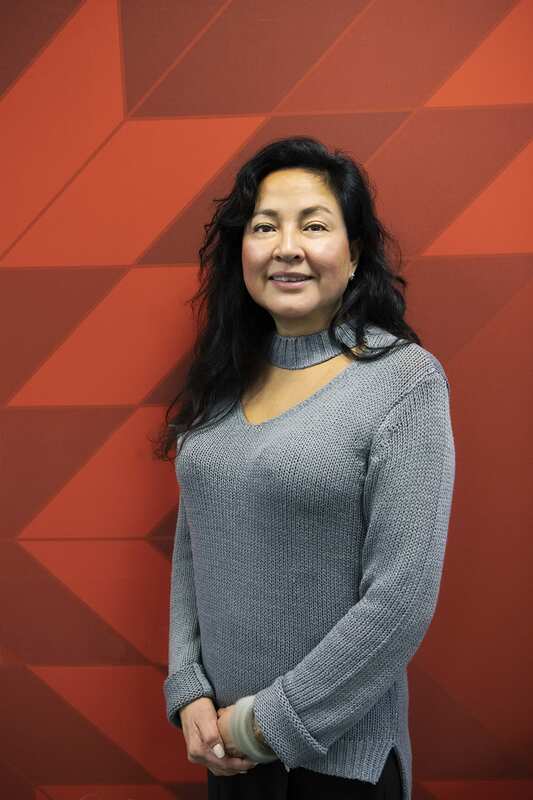 As part of its commitment to advancing Indigenous achievement while strengthening ties between Indigenous and non-Indigenous communities, Red River College has appointed its first Manager of Truth and Reconciliation and Community Engagement. Carla Kematch will lead the College in its commitment to Manitoba’s Indigenous Education Blueprint, a pledge to advance Indigenous education in the province — and to make Manitoba a centre of excellence for Indigenous education, research, languages and culture. As one of nine post-secondary signatories to the Blueprint — which takes action on recommendations made by the Truth and Reconciliation Commission of Canada — the College recognizes it has an important, proactive role to play in supporting reconciliation efforts in the province. “A key priority for the College is to strengthen our partnerships and continue to advance Indigenous achievement in our communities, and education is the key to improving the lives of Indigenous people and to improving Indigenous and non-Indigenous relations across Canada,” says Rebecca Chartrand, RRC’s Executive Director, Indigenous Strategy. In the immortal words of Guy Fieri, Red River College students Argie Garcia and Anthony Carino took the judges to Flavourtown during the Young Chef’s Challenge in Toronto last weekend. Garcia (shown above, at right), a Level Two Apprentice Chef, finished in first place at the event, while Carino (at left), a Term 6 Culinary Arts student, finished second. They were two of six student chefs from across Canada selected to participate in the challenge, hosted annually by the World Association of Chefs and Cooks. Each chef was given three hours to create a three-course meal that showcased creativity, taste and kitchen organization. They also had to incorporate a set list of ingredients, including chilled salmon (appetizer), beef striploin (principal plate) and dark chocolate and tea (dessert). 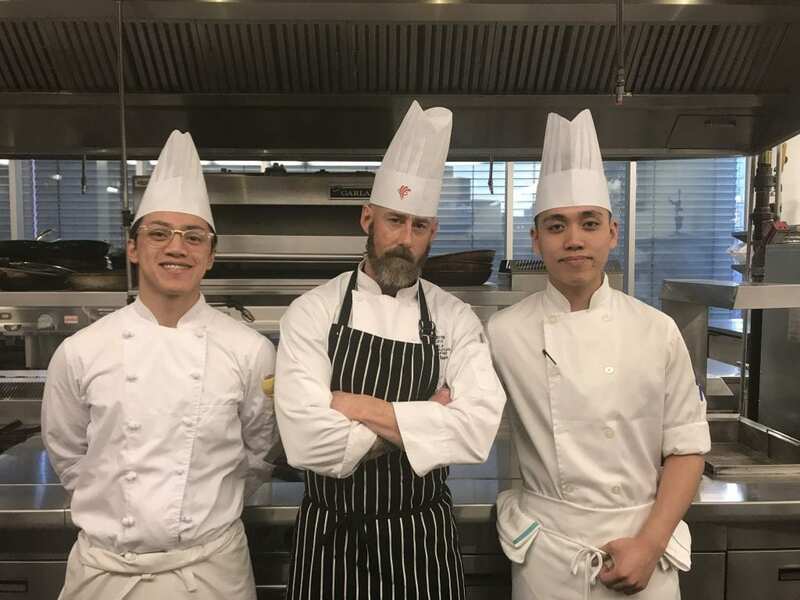 “These two talented young chefs had world-renowned judges scrutinizing all of the flavours they built and every move they made in the kitchen, so to have them both come out on top is an incredible feat,” says RRC Chef Instructor Gordon Bailey (shown above, at centre). As the first-place chef, Garcia will now have the honor of representing Canada at the World Chefs Congress, taking place in Saint Petersburg, Russia, in 2020. Carino’s talents also earned him an offer to join the Canadian Junior Olympic Chef Team in Prince Edward Island. “Argie and Anthony demonstrated their technical skills and knowledge in the kitchen on the national stage, and they did so with such a high level of poise and professionalism. 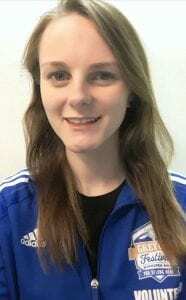 They represented the College and the province proudly,” says Bailey. Congratulations to the most recent recipients of Red River College’s Lieutenant-Governor’s Medals for Proficiency, who’ll receive their awards as part of our 2019 Winter Convocation ceremonies on Feb. 6 at the Centennial Concert Hall. Grace Hart — A graduate of RRC’s Paramedicine — Primary Care Paramedicine program, Grace Hart is a big proponent of paying it forward. Now 24, Hart grew up in Winnipeg, graduating from Fort Richmond Collegiate in 2012. She spent her childhood living in poverty, finding support through the charitable services of such organizations as Winnipeg Harvest, the Christmas Cheer Board and the Boys & Girls Clubs of Winnipeg. “I was 12 or 13 and my bed just broke in half, so I was on the floor with an air mattress for about two months. 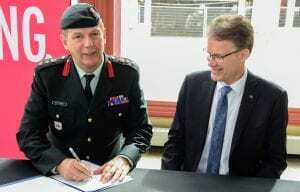 We found out about Hands of Hope and got a bed through them,” Hart says. While attending Red River College, students will make friends, become exposed to new ideas, and learn the skills they’ll need to succeed in the workplace. The one thing they might not get to do is study abroad — unless they take time out of their academic schedule to do so. But RRC’s Intercultural Mentorship Program allows students to broaden their horizons without having to incur the costs of plane tickets, living expenses or additional student fees. In fact, the only investment required is 10 hours of volunteer time, spread over the winter term. 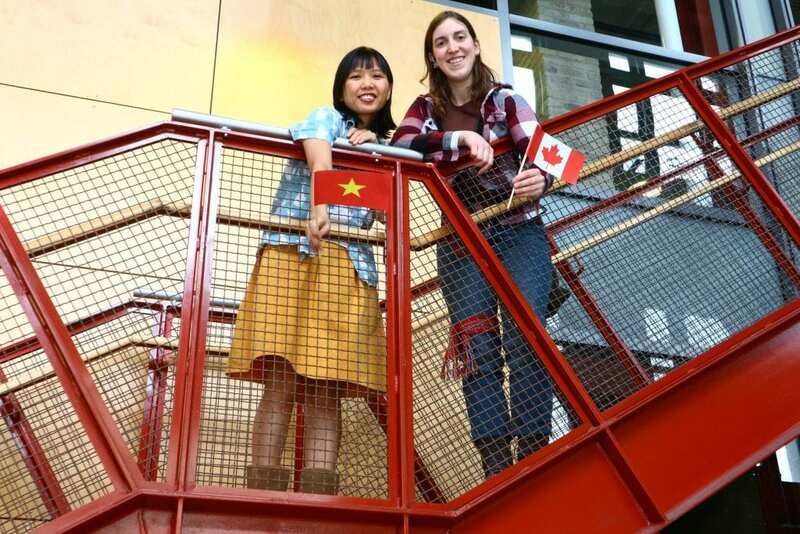 Each year, RRC welcomes over 700 immigrant and international students who wish to further their education in Canada, just as the province regularly welcomes new immigrants who help to grow our economy and strengthen cultural diversity. In the case of students, cross-cultural exchanges can have positive impacts on their careers, as well. “Having an understanding of diversity and cross-cultural communication are key power skills to have in our global economy,” says Vera Godavari, RRC’s Mentorship Program Coordinator. 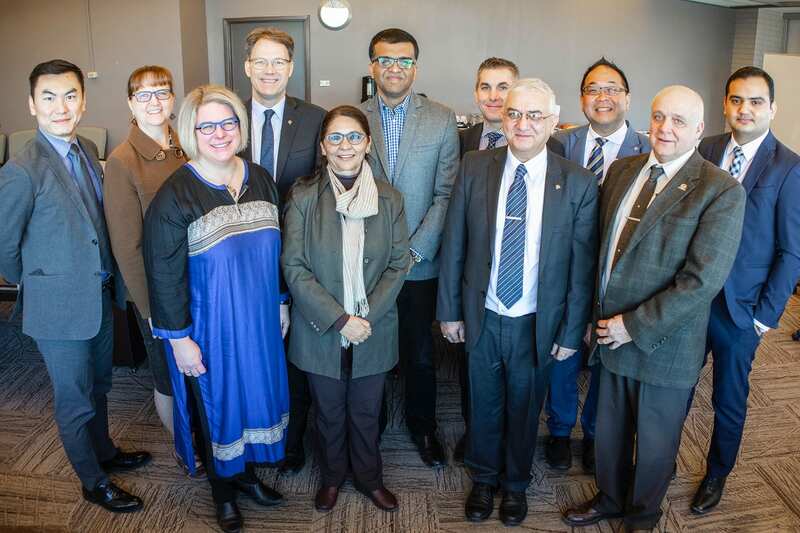 Red River College will partner with Chitkara University — one of India’s leading teaching and research institutions — to deliver innovative programming and continue efforts to internationalize the College and compete on the global stage. 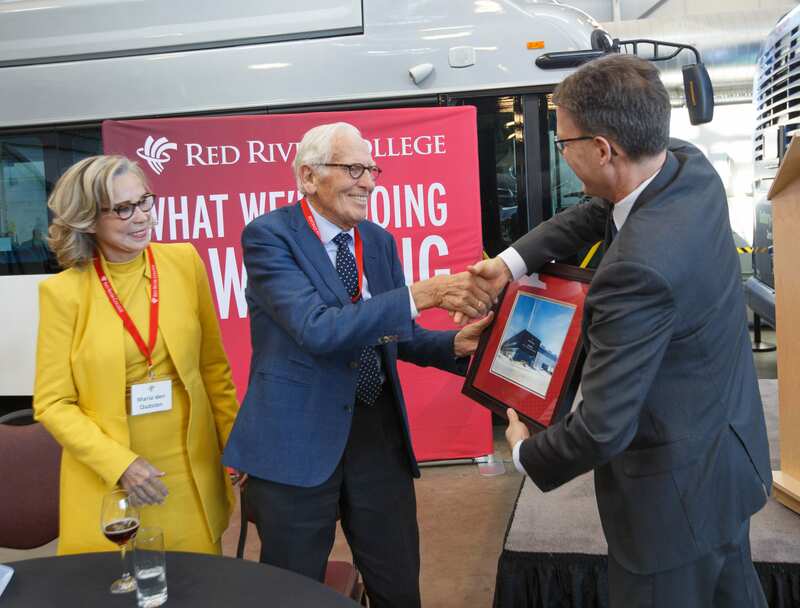 “Red River College is a global operation, and growing in stature in the area of international education,” says RRC President Paul Vogt. The College is exploring pathways to establish a satellite campus at Chitkara that will enable RRC to deliver the two-year Business Information Technology (BIT) program to students studying in India, beginning in the fall of 2019. Subscribe to get Red River College news sent directly to your inbox.